CLICK HERE FOR KID MINISTRY IDEAS!!! Tom & Gwendy are active in God's work with a focus on Children's Ministry. 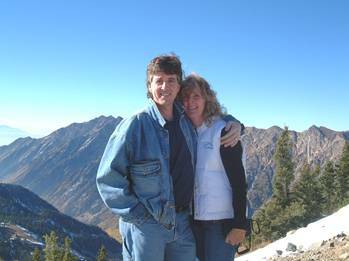 Tom also enjoys writing and recently had several devotions published in Cup of Comfort Devotional and UpperRoom. A versatile musician, Tom has played in numerous Christian bands & worship teams and helps Gwen by leading kid's praise and kid friendly lessons in several churches over the years. Gwendy has been kid focused since getting her ECE degree in college. Gwendy has worked in the secular world designing and running preschool centers and teaching ECE courses at the local college. She currently manages children's ministry in a local church in UTAH. Originally from Canada, they have spent the last 6 years working in Salt Lake with three daughters that are now also involved in kids ministry. Tom & Gwendy currently work with a local church to bring fresh ideas to Children's Ministry. Tom continues to do worship with both kids praise & adults. Tom & Gwendy enjoy taking on the occasional speaking engagements in church settings/conferences/seminars/workshops sharing their experience & knowledge in the areas of children's ministry and kids praise. If you are interested email us with the dates and details!